At our museum in South Texas, we are building a permanent exhibit commemorating the Pan Am hub that was located in Brownsville Texas for many years. 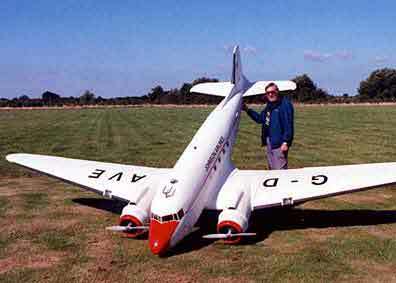 In particular, I have been exhaustively searching for a giant scale DC-3 (the larger the better - in excess of 88 inches), and apart from that, the period Pan Am detailing that would go on it. Please help me. 2. Use the Academy of Model Aeronautics (AMA) club search function and reach out to AMA members asking the question. Expanding the search. 3. If the searches come back empty, ask local AMA clubs if a member would be willing to volunteer their time building the Nick Ziroli kit. Since it'll be static display, only dummy engines are needed and no electronics are needed to be installed, unless needed for effect or to keep control surfaces straight. Top Flite makes a C-47 kit or ARF, but it's only 82.5" wingspan.